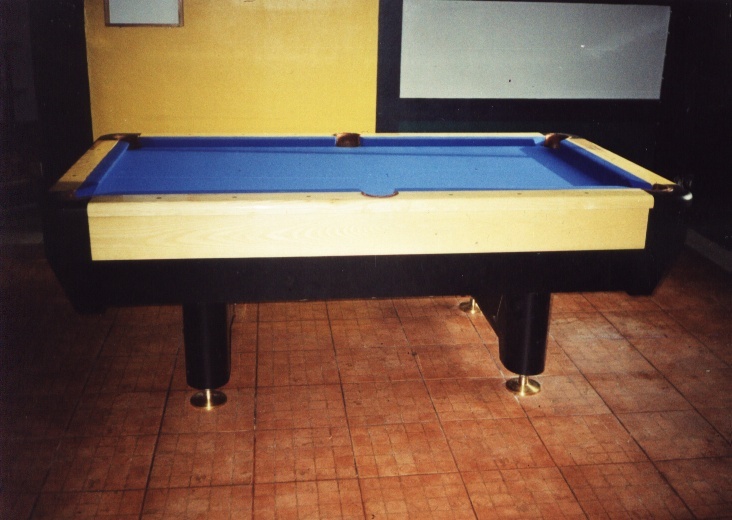 Cartwheel Pool Table size 50"x100"
size 50"x100" Champion Slate Bed complete with accessories..
size 4-1/2x9 feet without Coin Slate Bed complete with accessories. size 4-1/2x9 feet with Coin Slate Bed complete with accessories. size 4-1/2x9 feet Net Pocket Style Slate Bed complete with accessories.